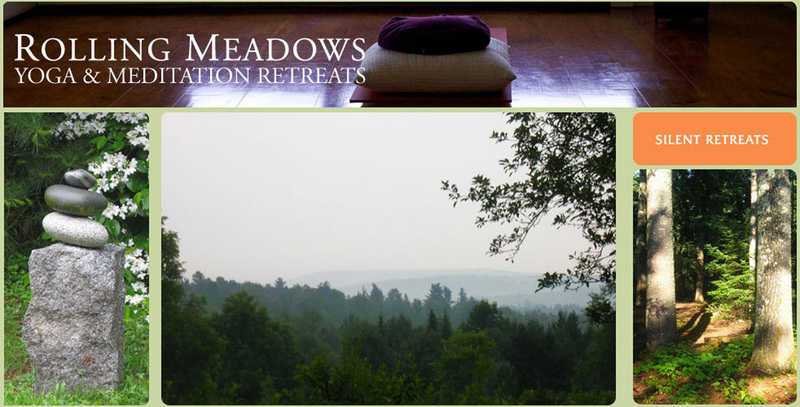 Many ask why are our meditation and yoga retreats silent? In silence, free from the distractions of daily life, we have the space and time to pause and meet ourselves in a deeply introspective way. During a silent retreat, the habit of looking outside ourselves for fulfillment shifts to sensing ourselves from within. This shift of awareness is the beginning of noticing the space in which all thought arises. This deeper intelligence is often overlooked because of the habit of being in thought rather than in present the moment. In our retreats, we provide the environment to nourish the turning toward this deeper knowing and less encumbered way of being. Through the practices we encourage mindfulness and an awareness of the difference between thinking and being in the moment. Silence allows for solitude in which clarity, strength, renewal, rest and deepened trust can arise. In this atmosphere of inner attending, sensitivity to the body invites patterns which are no longer useful to emerge, be noticed and released. In this openness, a freedom is revealed that is available at any time. Called by many names, God, Oneness, Awareness, the Divine, it is the simple, ordinary essence of our true nature that we discover, always here when we give ourselves the time and space to remember to notice. A retreat held in silence supports this unfolding from which we can go back into our lives rested and renewed with greater wisdom and compassion and clarity about what truly gives our life sustenance and meaning.